I have something of an affinity for Tarantino knock-offs so I have to disagree with you on this one, I found it pretty entertianing and thought Torgan did a great job in the lead role and made me care about her, too bad she wasn't in more films. We agree she was good, but the movie was a soulless Tarantino slog so prevalent in the 90s. I would only use the word "soulless" to describe films like Twilight. 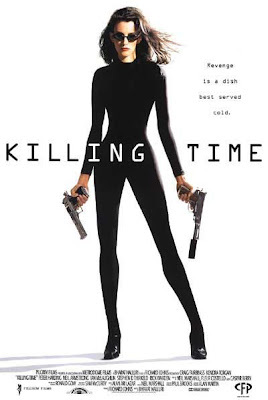 Anyways the worst Tarantino knock-off I ever saw was "Kiss Or Kill" and that one actually went to theaters. Heard of Kiss Or Kill, never seen it, will avoid that one. Can't believe that went to theaters!